Team Training at John G. Webster. Churches have unique needs when it comes to heating, air conditioning and plumbing. 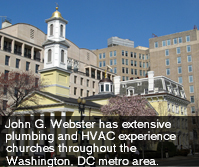 John G. Webster’s skilled plumbers and HVAC technicians have extensive plumbing and HVAC experience at churches throughout Washington, DC, Maryland, and Virginia. Many churches in the Washington area have older plumbing systems. Some may have never had central air conditioning. The expert plumbers and HVAC technicians at John G. Webster understand the special needs of churches, including your service schedule and budgetary concerns. If you’re struggling with a tight budget at your church, the last thing you want to do is worry about tricky pricing. We are proud to use up-front pricing for all our service calls. That means you can relax because we charge by the job, not by the hour. There are no surprises with John G. Webster. 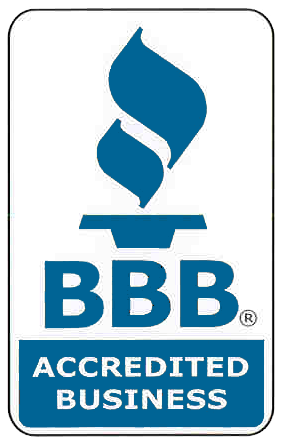 We only hire the best and brightest plumbers and HVAC technicians that you can trust in your facility and arrive in uniform on time, every time. Learn more about what makes us different. In need of church plumbing, heating or cooling? Contact us today!